You’ve probably never heard of the PowerStroke PS905000B (5000w) and the PowerStroke PS906811P (6800W) generators because it’s a relatively new brand. But, this is also the same reason why these are very affordable generators and are actually high quality performers. Don’t shy away from purchasing smaller brands because this is how you can get the most value for your money. This article discusses these PowerStroke gas generators in detail so you can determine if they are right for you. Anyone who is familiar with Ford and their high performance diesel engine lineup will instantly recognize the name “Powerstroke.” This is the name given by Ford to a special type of engine which they use in their diesel trucks, Excursion SUVs, Econoline vans, and many other vehicles. But have you ever heard of PowerStroke generators (no, Ford does not make them)? Chances are you’ve not, since this is a relatively young power equipment manufacturer which quite recently took its first step into the realm of portable generators. They also manufacture other power tools such as sanders, drillers, heat guns, reciprocating saws, pressure washers, and paint products. 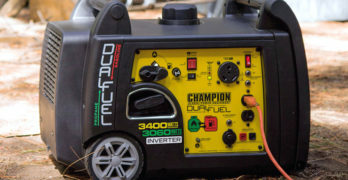 However, they are bound to face the toughest competition in the field of portable power generation equipment, thanks to well-established industry heavyweights such as WEN, Champion Power Equipment, and Honda. PowerStroke is apparently a Chinese brand who just got on the scene and these guys don’t have a lot of market share going for them right now. However, their products have received extremely positive reviews from users, and their customer service has also been reported to be very responsive to any sort of issue. This more powerful model can run for 13 hours at 50% load. The best part is that PowerStroke (the company) uses Honda engines in most of their generators, and we all know that Honda makes some of the most reliable and efficient engines in the business. Some of their smaller generators use Subaru engines, while newer small-medium capacity generator models use indigenously designed PowerStroke engines. The rest of the important parts such as the carburetor, coils, armatures, etc. all seem to be designed by an in-house team at the company HQ, and most parts that are not natively manufactured by the company itself, are sourced from reputable manufacturers. The point is that, you get an extremely well designed generator whenever you buy a PowerStroke, and the end user experience is bound to be very polished. We should also mention that this company offers 3 years of warranty on almost all its generators. This may not be as good as the 5-year warranty offered by companies like WEN and Champion, but remember that the cheapest generator on which WEN offers a 5- year warranty costs significantly more than even the premium grade PowerStroke equivalent. Three years of warranty is still very good, considering that a 2-year warranty is standard among all well-established power equipment manufacturers, at least on their non-premium goods. A generator is an investment that you will eventually need. The PowerStroke PS905000B is a 5000 watt portable generator that uses an overhead valve engine designed by PowerStroke. 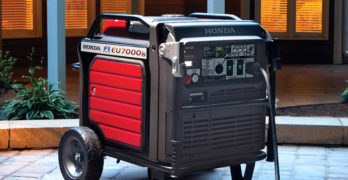 Does it mean that this generator is inferior to its counterparts, which use Honda or Yamaha engines? Will it be able to match the standards for efficiency and reliability that have been set by companies such as Champion and WEN? Well, in this article we shall answer of all those questions and also delve into the operability/build quality of what can be considered to be a fairly “premium” PowerStroke portable generator, despite the fact that it carries a sub-700 dollar price tag. One look at the specs sheet, and we can confirm that this is a generator which is intended to be used on jobsites for running various power tools in tandem such as compressors, table saws, drillers etc. But wait – since this PowerStroke unit claims to produce clean power and has a rather beefy 5000 watt continuous power delivery rating, you can also use it to power your home appliances and lights in case a hurricane, snowstorm, or fallen tree knocks out your power supply for several hours/days. If you happen to live in one of those remote areas where it takes days for utility companies to repair power lines, then this generator makes a very compelling purchase option owing to its relatively low price and high starting power output (6250W) which is pretty much enough to take on your 15000 BTU window/split AC, water pump, and fridge at the same time. There are a total of four 20A, 120V 3-prong outlets on the side along with a twist-lock 240V outlet. In the upcoming sections, we shall discuss about the specifications and features of the PowerStroke PS905000B, going into detail on how it performs in real life and why you should buy it. We shall take a look at the engine, quality of the electricity that is generated (does it truly deliver “clean power”), fuel efficiency, portability, and all that good stuff which determines whether or not a generator is worth spending your hard earned cash on. Since this is marketed to be an affordable jobsite generator, we will put these claims to the test by taking a look at the performance consistency, build quality, ease of maintenance, and portability. Never use a generator indoor or in enclosed areas. You can’t use a generator at the jobsite unless it delivers clean electricity which is crucial to drive that miter saw, power drill or sander the way it is meant to run. Equally important is the amount of amps that this generator can put out at each port since most electric band saws, compressors, drills, etc. are equipped with 15A motors. Finally, we shall compare the PowerStroke PS905000B to its big brother, the PowerStroke PS906811P. The PowerStroke PS906811P is a 6800 watt portable generator and is equipped with some of the finest technology that PowerStroke has to offer. It also costs nearly 60% more than the PS905000B, so we are going to examine if the extra price that you pay is worth it for the additional performance and features that you get. Starting wattage of 6250 watts, with a running wattage of 5000 watts and rated frequency of 60 Hz. Total amperage is 41.7A, distributed across four 120V, 20A outlets and a spin-lock 20A, 240V outlet. Single cylinder, 389cc displacement, gasoline powered PowerStroke OHV engine. Large 6-gallon gas tank, runtime of up to 9 hours at 50% load. Hand truck frame design equipped with foldable handlebar and 10” never-flat wheels. Automatic Voltage Regulator (AVR) for delivering clean, spike-free power to all your equipment and appliances. Equipped with automatic low oil shutdown, hour meter, and AC circuit breakers. Covered by a 3-year limited warranty (parts + labor) in case of personal use, and 1-year warranty in case of commercial usage. Features a USDA forest service approved spark arrestor, and is compliant with all applicable US EPA and E.C environmental regulations. ✓ View or download the MANUAL or the QUICK REFERENCE guide for the PS905000B. So the PowerStroke PS905000B strikes hard with its raw performance, aggressive pricing, and reliability. But those specifications can mean quite a lot of different things in real life scenarios depending on who is using it, and how they are using it. This is not an inverter generator, so it does not have the ability to throttle back its motor and reduce the power output depending on the load. This is why we recommend that you connect as much load as you can without straining the motor or else this will cause voltage spikes. Of course, the AVR system and circuit breakers are there to ensure smooth power delivery, but we shall talk about that stuff further down below. Read on to know what this generator can power, and whether or not it is sufficient for you. Nothing too impressive here, this generator is rated at 5000 watts continuous and 6250 watts starting/surge power. What is impressive though is the fact that something like this costs less than 700 bucks. Try searching for a continuous 5000 watt WEN, Champion, or Generac at this price and you will quickly realize what we mean. What can you do with these numbers, all of these watts? 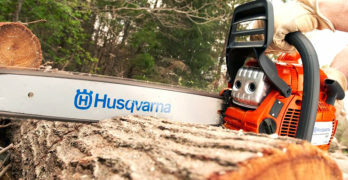 What equipment can you run simultaneously, what power tools can you run on your jobsite, and what appliances will it power when the lights go out? Well, here is a little overview of the running vs starting watts for some common electrical devices you might want to power with your generator. ✓ View or download the PowerStroke wattage worksheet to help you determine the right generator size for you. As you noticed, there are two separate wattage ratings for any tool or appliance which uses a motor or compressor of some sort. The starting wattage is used to judge the amount of power which needs to be supplied in order to get the appliance started. Ever noticed that sudden buzzing sound or slight tremor as you switch on your fridge or AC? That is the sound of the compressor spooling up. For a short duration, extra current flows through the coils of the stationary rotors inside the motor, and it takes much more power to get a motor started then is needed to keep it spinning. 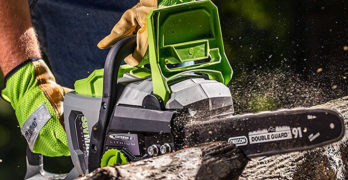 Starting power is a metric you should be concerned with if you plan on using anything that has a significantly large enough electric motor inside such as a power tool (drill, saw, etc. ), fridge, AC, etc. Heaters, electronics, and lights have a fixed wattage. Make a list of all the items that you plan on running simultaneously with the generator. Take the highest starting wattage from the list. Take the sum of all the running wattages of every single item on the list. Add the starting wattage from step 2 to the total you got in step 3. The result is the maximum number of watts that you will need, and this figure corresponds to the starting wattage of the generator you need. Add in an extra 10-15% for future proofing if you wish. IMPORTANT : Do not attempt to start everything at the same time or you will trip the circuit breakers in the generator. First switch on the product which needs the most starting power, then wait for about 4-5 seconds minimum before turning on the next product. There are a total of four 120V 3-prong American style power outlet ports on the side. Each supplies 20 amps of current, and they are arranged in 2 columns of two outlets each, with plastic covers on the top that you can flip up whenever you are not using the ports. These covers are especially useful when you are using the generator on a jobsite, since it will prevent dust and water from entering into the sockets. There’s a 240 volt, 20 amp twist lock socket on the side. This is for certain tools or appliances which might require a 240V supply. Overall, we are extremely satisfied with the number of outlets which have been provided for such an affordable price. 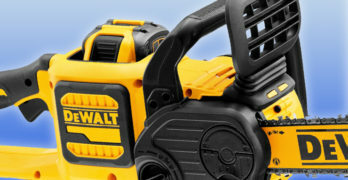 In the case of jobsite applications, you could connect two separate drills or saws, along with a sander and blower. You could also power an entire array of framing tools with just one PowerStroke PS90500B generator. In the case of a power outage, you could connect the room heater to one outlet, the fridge to another outlet, a bunch of lights to the third outlet via a surge protector, and an electric grill or oven to the final outlet. This is definitely not the quietest portable generator ever made, but it does prove itself to be very efficient in terms of how much runtime you can get out of each unit of gasoline that is burnt. The 6 gallon fuel tank will give you a full 10 hours of runtime under 50% of load, which is nothing short of impressive to be honest. Remember, this is not an inverter generator and even the 2200 watt inverter generators provide around 11 hours of runtime under 50% load. Yes, they also have much smaller fuel tanks (1.2-1.8 gallons), but they are equipped with engines which are both smaller as well as more advanced than the engines found on conventional generators like this PowerStroke PS90500B. Quieter than a normal conversation at 53-60 dBA. Designed for quiet. Talking of engines, the manufactured 389cc overhead valve gasoline engine from PowerStroke does a damn fine job at keeping up with similarly sized engines from the likes of industry juggernauts such as Honda and Yamaha. It runs smooth and steady — the two characteristics that you desire from every generator engine. The more consistent the rpm levels, the more stable (cleaner) power the generator will create. No sudden spikes or dips which will mess up those expensive electronics you are running through your generator. Noise levels under 50-75% load can be anywhere between 58 to 60 decibels, and while this is surely a little on the louder side we bet you aren’t planning on running a generator of this size and power any less than 25-27 feet away from yourself. And if you’ll be using it at a jobsite, the noise is probably going to be drowned out by all the other noises in your surroundings. We definitely loved the fact that Powerstroke put so much attention to safety even at this price point. It shows that this company, even if it may be a newcomer, cares about what its customers think of its products. It does not cut any corners where safety is concerned, hence there are two separate circuit breaker systems built in, one will function as the backup if the first one fails. You can reset the circuit breakers by flipping the two little switched located right next to the power outlets. The choke is conveniently located right on the front side, just above the fuel tank. This is a location anybody can access very easily, and the entire unit is built to be rugged as you can tell from its hand truck frame design that features thick steel tubing and puncture-proof 10” wheels for mobility. There is a handle on the top which folds in whenever you don’t need it. There are locking pins on the side so you can open up the handle and lock it into a perpendicular position while loading the generator into the back of your truck, and the foam padding on the handle definitely makes it super easy to lift this 190 pound beast. The engine oil cap is located in a convenient position, and any sort of servicing work is made super easy thanks to the open-frame design that lets you access parts such as the spark plug, carburetor, air filter, wiring, etc. with ease. Powered by the HONDA GX390 engine for reliability and power. 6,000 watts continuous power, 8500 watts surge power. Uses a 389cc single cylinder Honda GX390 OHV commercial grade engine with electric start. Massive 8 gallon fuel tanks provides for up to 13 hours of runtime on 50% load. Size: 24” x 31.25” x 24” (D x H x L), and weighs 209 pounds. Covered by a 3-year warranty for personal usage, and in case of commercial usage this warranty is reduced to 1-year. Compliant with CARB and E.C ratings, USDA approved spark arrestor. ✓ View or download the MANUAL or the QUICK REFERENCE guide for the PowerStroke PS905000B. Just by comparing the specs one thing is clear- the PowerStroke PS906811P generates 36% more continuous as well as surge power in comparison to its smaller twin, the PS905000B. The PS906811P also costs about 50% more, but the extra power output is not the only reason you should buy one of these. Read on, to learn more about how the PS906811P is more useful in certain use cases compared to the PS905000B. Even though both are equipped with a single cylinder, 389 cc overhead valve engine, the one in the PS905000B is an indigenously designed PowerStroke model while the larger and more expensive PS906811P uses a Honda GX390. The GX390 is certified to be a “commercial grade” engine. Does this mean that it is in some way better when it comes to total horsepower? Or does a commercial-grade engine spin faster? Well, the truth is that a commercial grade engine can be much more reliable than a regular engine of similar capacity. Each and every part in the commercial grade engine is thoroughly examined and approved to ensure that the engine can run consistently and smoothly over the course of several hours. You can run a commercial grade generator engine for several hours, even days, without wearing out or overheating the engine. This is kind of like the difference between a server computer and the desktop computer that you use — the server computer is not necessarily more powerful, but is guaranteed to perform much more consistently and has been designed to work 24×7 — the kind of stuff that a large business or commercial organization values greatly, and would be willing to pay an extra premium for. So do you think the extra 36% power output is something you need? WEN is known for providing a lot of great features at an affordable price. Do you want a generator that you can use as a backup for supplying power to your house for a whole week when the entire grid goes down due to a hurricane or snowstorm? Yes, the 5000 watt PS905000B will do all of that, but there is no guarantee that its engine will perform as consistently after let’s say, 24 hours of running. If you want to run an extra appliance or power tool and want the guarantee that your generator will perform perfectly under a commercial workload, then pick up the PS906811P. Else stick with the PS905000B. In terms of noise, they are both on equal levels. The engines are quite similar in terms of power output and functionality which is why they are both going to make about 58-60 decibels of noise from a distance of 27 feet under load. But hey- if you are all about that extra runtime and hate refilling the tank then the 13 hour runtime on the PS906811P is definitely going to suit you. That is a whole 3 hours more than the PS905000B. Doesn’t sound like much? Well, that could easily be the difference between having to wake up at 3 am in the night to refill the gas tank, instead of refilling the tank at 7 am in the morning AFTER you have woken up. It also means you have to get up from work less often at your jobsite. Well, the PS905000B is about 19 pounds lighter than the PS906811P. But we don’t think portability should be a concern here since both of these machines weigh about 200 pounds each and have similar wheels as well as frames. There are folding handles on either model so that you can lift them up and tow them around easily. You can also fold the top handles and use the side rails to lift the generators onto the back of your truck from a higher position. One provides incredible performance for a super low price, while the other gives you the option of obtaining a commercial grade machine at consumer level prices. One features a 10 hour runtime, while the other features a 13 hour runtime (assuming similar loads, and a full tank on both). One weighs 190 pounds dry, while the other weighs 209 pounds dry. One generates 5000 watts running and 6250 watts on starting, while the other generates 6800 watts running, and 8500 watts on starting. Which one is right for you? That’s something we can’t answer definitively since it is a highly subjective matter and each person has their own specific requirements. Would you rather spend less than 700 bucks and get enough power to run most of your tools simultaneously for moderate durations, or would you go that extra mile and get enough juice to run everything in tandem for prolonged periods of time under a commercial workload? Learn more about PowerStroke products by visiting their site.